About: LinkAge is a local charity that works with people aged 55 and over together with local communities to facilitate inspiring social activities that enrich lives, reduce isolation and loneliness and promote active participation and positive ageing. It is run, and funded, by a partnership of Bristol City Council, St Monica Trust, the Anchor Society, Bristol and Anchor Almshouse Trust and Redcliffe Care. The organisation takes a community development approach to its work, raising the profile of what is already taking place within communities and helping to make it successful and sustainable, as well as operating as a broker and catalyst to fill gaps in provision. LinkAge works through community hubs, each of which has a local Advisory Group of people aged over 55 who decide on what activities to develop, informed by feedback from the wider community at open and wellbeing days where people can contribute their ideas and suggestions. Support is provided to get new groups off the ground, negotiating deals on venues etc, but aims for activities to become self-sustaining with participants taking on organisation and contributing to costs. Throughout the city, hubs offer a wide range of activities including archery, choirs, cooking, holistic therapies, golf, IT, ping pong, walking football, and yoga. Local “What’s On” guides are used to show people what is available in their community. LinkAge also supports the development of more friendly, cohesive and empathetic communities through its intergenerational work, by celebrating cultural diversity and challenging age stereotypes. Volunteers are the keystone of the organisation and LinkAge has seen ‘virtuous circles of volunteering’ where people start by attending activities, but later become volunteers. 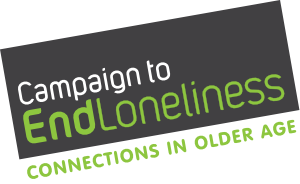 LinkAge works hard to reach out to lonely and isolated older people and receives referrals from a wide range of individuals and agencies. The organisation has recently taken on management of the ACE Project (Active, Connected, Engaged Communities), developed by Bath University, which matches lonely older people with older volunteers who find out their interests and support them to get involved with a range of activities, building confidence and self-esteem. An independent evaluation of LinkAge by the University of the West of England concluded that: LinkAge meets the agendas established by the Marmot Review–Fair Society Healthy Lives. Its outreach work draws people in that may feel isolated in their community. Through activities LinkAge helps people feel more socially connected, improves wellbeing and happiness (on the ONS Happiness Index) and increases physical activity. Who: Bristol City Council, St Monica Trust, the Anchor Society, Bristol and Anchor Almshouse Trust and Redcliffe Care.